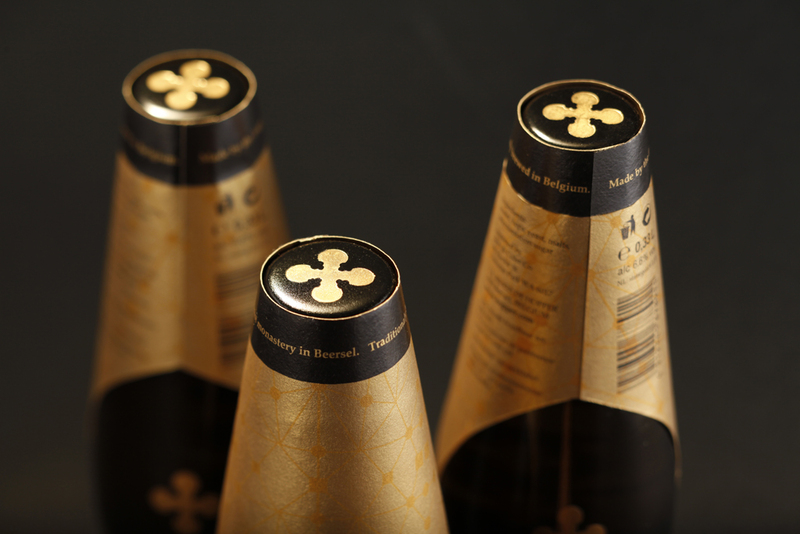 Client: Brindco International Beers Pvt. Ltd. 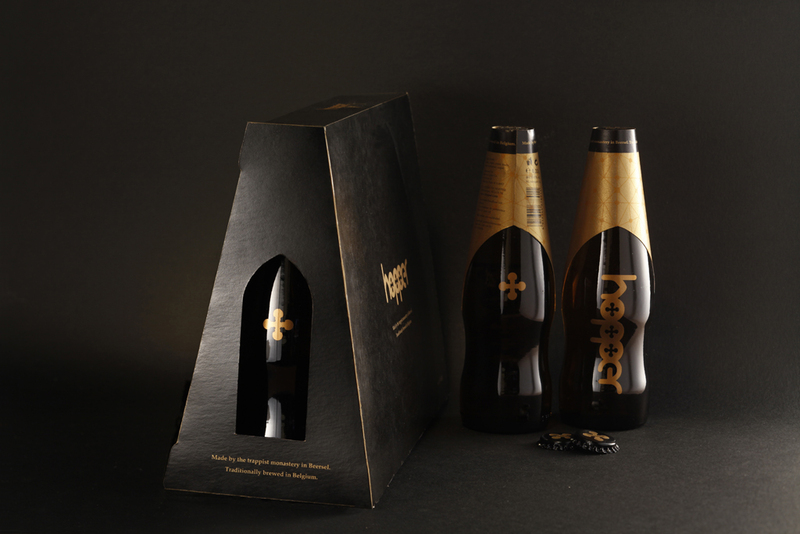 Copyright: Brindco International Beers Pvt. Ltd. 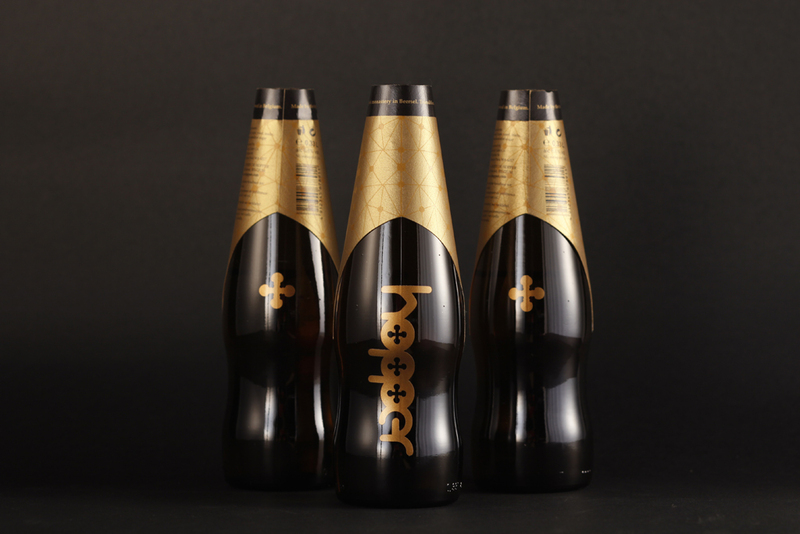 Trademark: Brindco International Beers Pvt. Ltd. 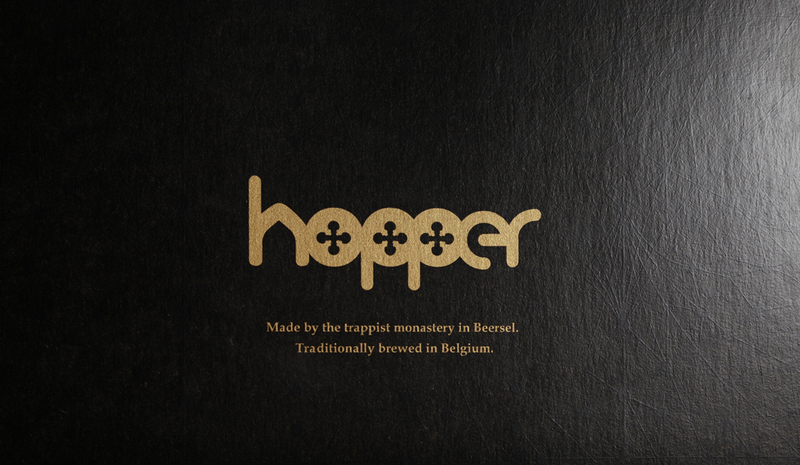 Produced in the Belgian province of Flemish Brabant, this trappist beer dates back to the 15th century. 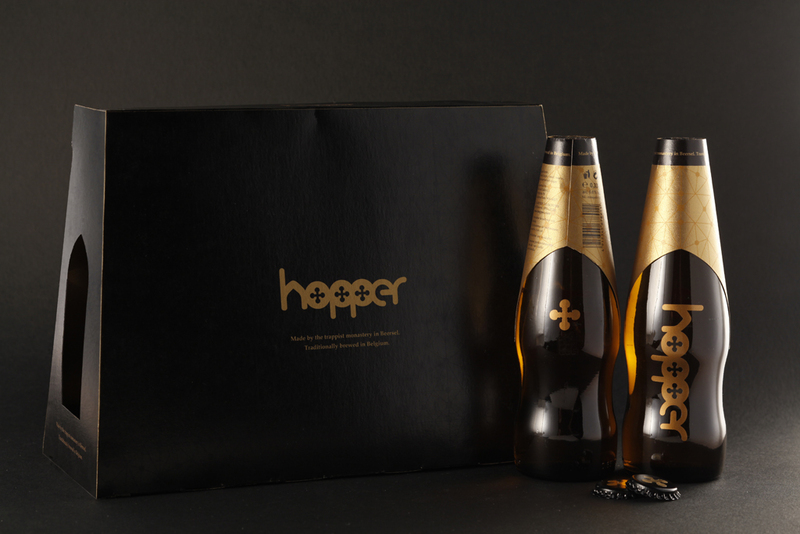 It was originally brewed and distributed by the monks to raise funds to support the local monastery and it’s community programs. 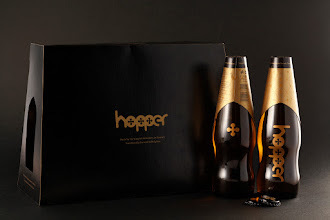 The Hopper bottle is an immediate reminder of this distinctive history. 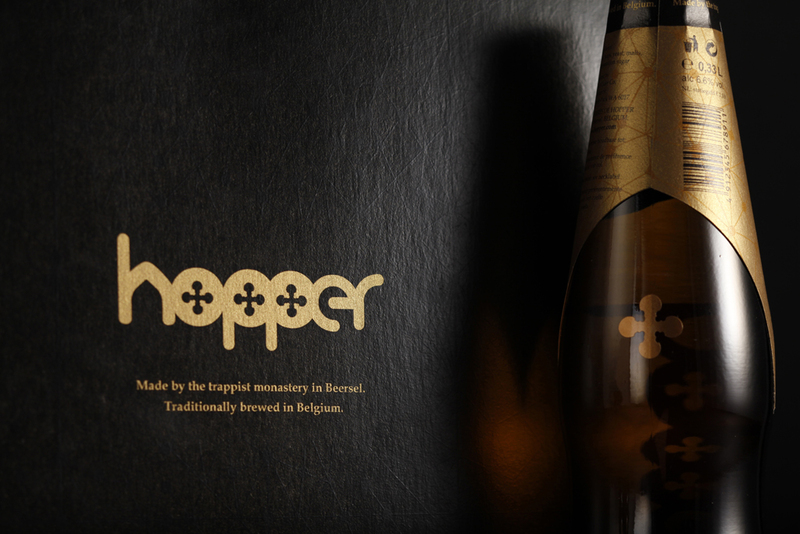 Pointy neck label created the negative space of the church window with the golden light through that relates to the beer brewed in the monastery. 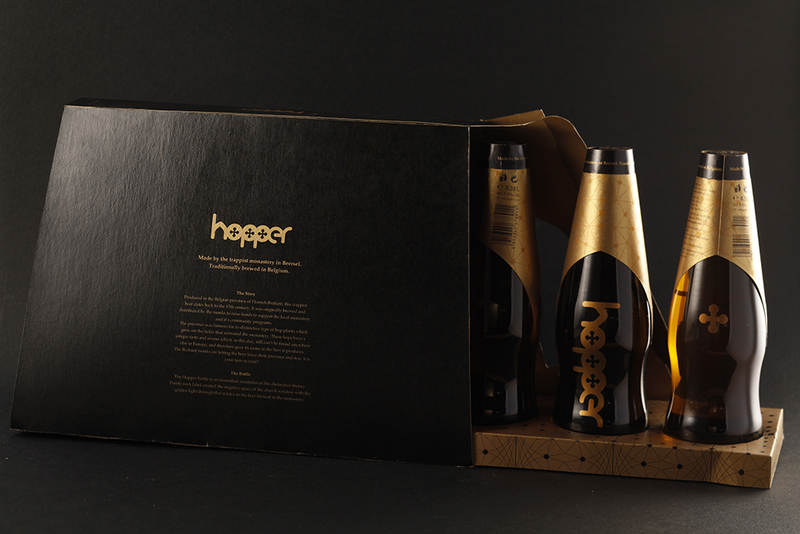 The bottle shape is not really common. A very nice appearance.